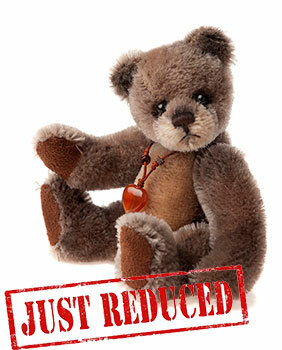 Charlie Bears Moccasin Keyring Discounts Apply ! Designed by Charlie for Charlie Bears 2013 Mohair Keyring Collection. Made of the finest schulte Mohair and fully jointed with a hand stitched nose and wears a Amber Coloured heart and bead necklace .